Seventeen games into the regular season, the Big Ten last-place University of Wisconsin women’s basketball team has dropped their last four games and bears a dismal overall record of 5-12. But with a spate of Big Ten games yet to be played, the Badgers have a decisive opportunity to right the ship and, at the very least, tack on some wins to their conference record of 0-4. Upcoming matchups against some of the most successful Big Ten squads, namely first-place University of Maryland, second-place Ohio State University and third-place University of Michigan, will be pivotal chances for Wisconsin to earn themselves a solid position going into the conference tournament. In spite of the long road that remains ahead of them, the Badgers have been unable to turn improvements into physical wins. 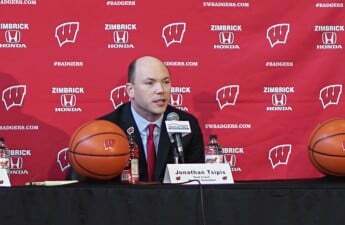 Under the leadership of first-year head coach Jonathan Tsipis, Wisconsin will now look to avoid falling into the kind of all-out tailspin that saw them close out the 2015-16 season on a 7-game losing streak. At this point in the year, the Badgers have been second to their opponents in virtually every offensive category including scoring and field goal percentage. Rebounding and blocks are the only statistical categories in which they hold the advantage — alarming stats for an offensive team. Wisconsin’s difficulties throughout the first half of the season have undoubtedly been due in part to losing four starters from last season. Redshirt senior forward Avyanna Young is her team’s lone returning starter and has been the leader in rebounds with an average of 7.5 per contest and a total of 98 throughout her 13 games played. But the Badgers’ need for adjustment has been clear going into the new year. Evidently, filling the scoring void is one of the most pressing needs for this team. Only junior guard Cayla McMorris has joined Young in averaging double figures. McMorris leads Wisconsin with 13.8 points per game despite only reaching the 10-point mark in three of her nine games played last season. 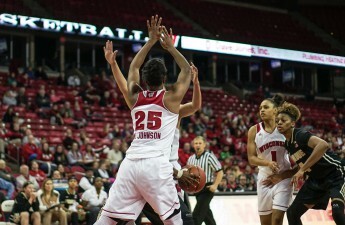 If they’re to find their footing soon, the Badgers will look to McMorris to get back to her usual production, as her numbers have dipped in recent matchups with conference foes. With the start of the Big Ten stretch of their schedule, McMorris has only reached double figures once in four games. More importantly, however, Wisconsin will need contributions from more of McMorris’ teammates to stabilize their team scoring, which has been nothing short of erratic. 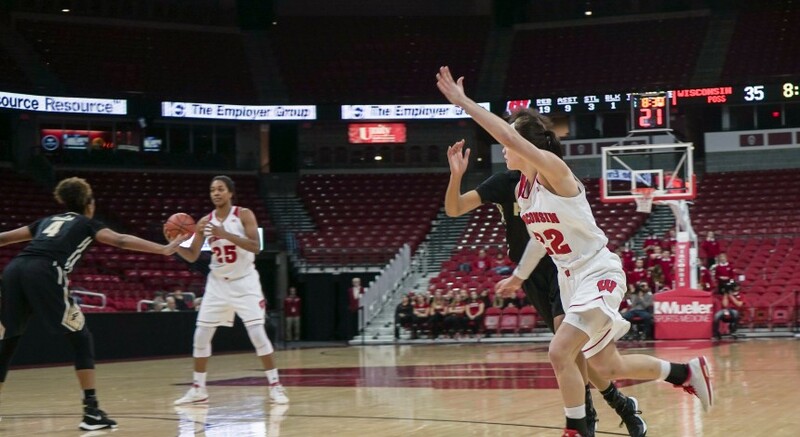 One of the notable bright spots from their loss to Purdue University on Wednesday was a 10-point performance from forward Courtney Fredrickson, one of the six freshmen on Wisconsin’s roster. The same narrative proved to be in place Wednesday, though — the Boilermakers had five players in double figures while the Badgers would only end with two. With so many underclassmen and only three seniors, there is a lot room for improvement for this team. Wisconsin’s potential has already shined through on numerous occasions, featuring a 100-point performance in their second game and a dominant road victory against Illinois State University, in which they turned active defense into offense — holding the Redbirds to 46 points. 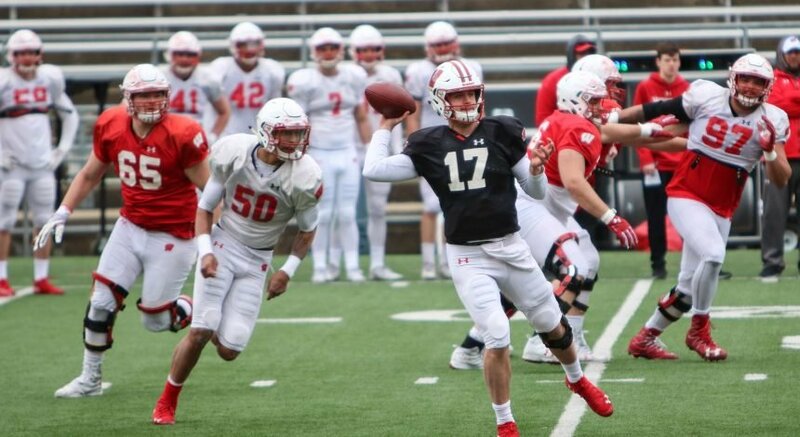 Even if the Badgers don’t manage to climb their way out of the hole they’ve dug for themselves in the coming weeks, meetings with teams atop the Big Ten and national rankings will be vital tests for the future of this young Wisconsin team. Many uncertainties still await the Badgers, but if they can compete with the likes of Maryland, there is a lot of upside to this young squad.